I've seen my fair share of heartbreaks when it comes to used phones. As a repair tech, I often had to try and help out customers who bought used handsets which turned out to be useless, either because it was stolen or not working on their carrier's network. More often than not, there was very little I could do. To help you from being stuck in the same situation, here are some tips to prevent you from getting scammed out of your hard earned money when buying a used handset. If you've found a smartphone that you think might be a great deal, the first thing you should always ask for is its IMEI (International Mobile Equipment Identity), the phone's 15-digit fingerprint. With this, you can check its current status and see if it's worth buying. If you have the phone in hand, no matter if it's Android, iPhone, or another type, tap *#06# on its dial pad and the IMEI will automatically pop up. If you don't have access to the device and the seller won't provide it, don't even bother thinking about trying to buy it. Checking an IMEI with Swappa. Blacklisted - lost or stolen device: This is pretty self-explanatory... either the phone was stolen or the owner did a fraudulent insurance claim to make a quick buck. Blacklisted - outstanding balance: The original owner skipped out on the bill, and the device hasn't been fully paid off. Currently being financed: The original owner is still paying the handset off. While it's okay to use, the device will most likely get blacklisted down the line when the owner stops paying it off. If your search yields any of the results mentioned in the above list, move along and keep shopping. If they're anything else, further investigation is probably best. Running your IMEI through these sites is an absolute must, but it's not enough—remember, you're about to spend a lot of money. The key here is to check and double check again before you put down any cash. An unlocked phone can be used with any GSM-based networks like AT&T, T-Mobile, and Simple Mobile. MetroPCS can also use unlocked phones, but the IMEI has to be registered with MetroPCS in order for the device to work. There are limited unlocked phones that actually play nice with Verizon's CDMA network, but you don't want to take any chances on not getting it working or experiencing random signal drops. Handsets are usually locked to their respective carriers. Verizon is a notable exception—its handsets, from the iPhone 5 and Galaxy S4 on up, come factory unlocked. Smaller carriers like Cricket and MetroPCS have an app embedded in their handsets that can factory unlock the device for use with other carriers. The catch is that the device must be in continuous use for at least 90 days before the app can unlock the device. Before purchasing a used phone, it's important to know what carrier the phone originally belonged to. Once you find out, call that carrier and ask about the suspect phone. Tell them you're interested in buying it off someone, and they'll ask you for the IMEI. The carrier will then give you details about the phone, whether it's lost or stolen, has an unpaid balance, or is factory unlocked. Their online tools mentioned above only really show you whether it can be used on their network and if it's already in use on their network, so you have to call to get the full details. Activation locks are especially troublesome for second-hand phone buyers. Devices locked with Google or iCloud accounts are nearly impossible to get working without cooperation from the previous owner. Many unsuspecting consumers have been scammed into buying such a device, only to sell them for parts later—or use as a fancy paperweight. When you test out the prospective device you're thinking of buying, first do a reset if it hasn't already been done. Insert your SIM card and go through the setup prompts. If the screen above pops up, ask the seller to sign in immediately. If you got the device online, hold off on giving any feedback until you've verified there's no activation locks. If there is, contact the seller as soon as possible. 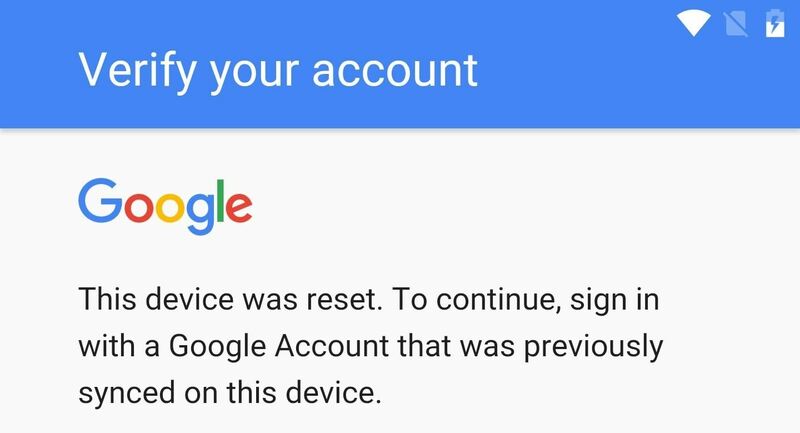 I bought a phone once on eBay and received a Google-locked device. Fortunately for me, the original owner replied promptly and gave me the correct credentials, and I was able to go in and use the phone. 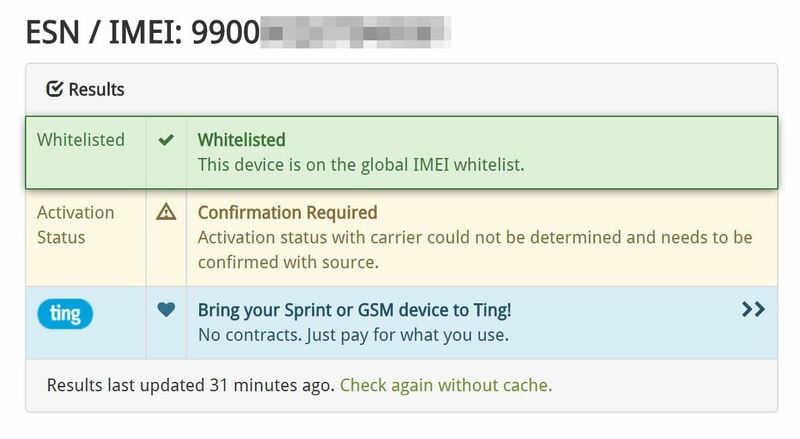 I waited another month to ensure the device didn't show up as blacklisted on an IMEI search, and only then did I leave the appropriate feedback. No matter how you plan to purchase your second-hand handset, make sure follow these simple steps to minimize the risk of getting ripped off. Always remember to take precautions, especially if buying a phone from a complete stranger. Always meet in a public place, make sure the device works properly, and only then should money be exchanged.